To backup and save AOL emails to Outlook PST file format, then it is required to install MS Outlook 2016/2013/2010/2007 versions. AOL Backup Tool supports emails from AOl Desktop 9.7/9.6/9.5/9/8 and all the below versions. Save AOL emails to hard drive by taking regular backups using the AOL Backup tool. Archive complete email folders like Inbox, drafts, trash and sent items. American online emails are saved on a Personal Storage file with an extension .pfc. Backup PFC file data using the tool. Store conversations from instant messaging service provided by American Online in a file. The software can easily backup the conversations that took place through the messenger or chat into your external/attached hard drive of Personal Computer or flash drive. Convert .pfc file to four different formats using the AOL Email Backup Software. Mailbox data can be converted to MBOX, EML, PST and MSG file formats. This makes it easier to migrate AOL PFC to Thunderbird, MS Outlook, and Windows Live Mail. Moreover, there is not any limitation on the number of emails that can be backed up. Once a repository is created of all the emails stored in AOL Backup application, they can be simply deleted from the system. Delete backed up emails from the server to make room for more conversations that may take place in near future. The backup can be accessed from any computer at any time to reference back the deleted emails. The AOL to Outlook Converter provides an option to filter out emails by choosing the 'selective folders'. Moreover, you can just set a ‘to’ and ‘from date to sort out messages that need to be archived. This process can prevent needless archival of data and also save time for large mailboxes. Moreover, it also supports Windows 10 and all below versions. The software is an easy-to-use and simple, that can even be used by a non-technical person. The user interface provided by AOL to Thunderbird Converter is simple and supports multiple language preferences. Change the language preference to a different one according to choice. The default software language in English for all users. Even for mailboxes that have thousands of emails saved over years, there is no data loss while backing them up with the tool. Moreover, this AOL Email backup software ensures complete data retention and integrity. The AOL to Outlook Backup tool ensures that emails, as well as corresponding attachments, are secure and private. The email data is not modified and shared with any third party. This software is user-friendly and provides lots of advanced features and benefits. One such addition is the function of adjusting internet bandwidth to suit the backup needs. Adjust usage according to choice and set a percentage with the AOL to Apple Mail Exporter. Doing this allows backup to run in the background and not affecting the normal working on the system. Set the backup to run in a particular time period of the day. This option ensures that AOL Mail backup is taken regularly. This way emails can be accessed even during corruption of email files or server downtime. AOL PFC to Thunderbird Migrator also manages backup by adjusting internet usage and time interval. The AOL backup software provides a feature to save mailbox login information. The username and password of AOL account can be saved for the next time a user logs in. The tool provides ways to Pause and Resume backup. Continue backup easily without signing in each time by saving login credentials. How To Backup Emails using AOL to Outlook Converter? Demo Version of AOL Backup Software import AOL emails to PST/MBOX/EML/MSG within limit of 100 emails and expires after 30 days. 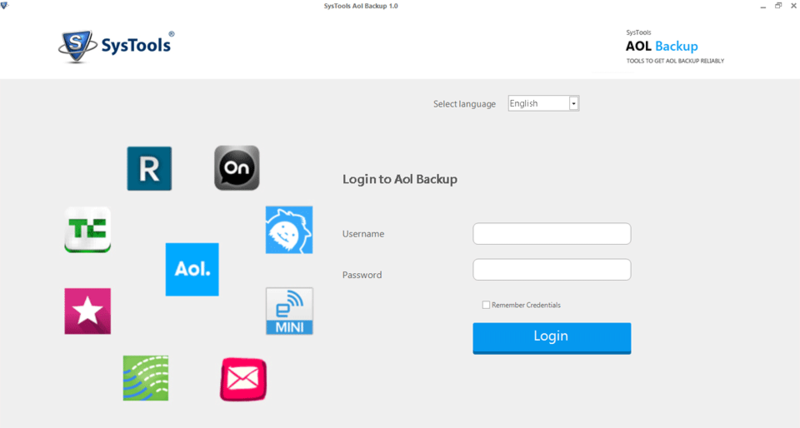 How does AOL Backup Tool works? Step 1: Install & Run AOL Email Backup Softwares. Step 2: Login with AOL credentials and open your email account. 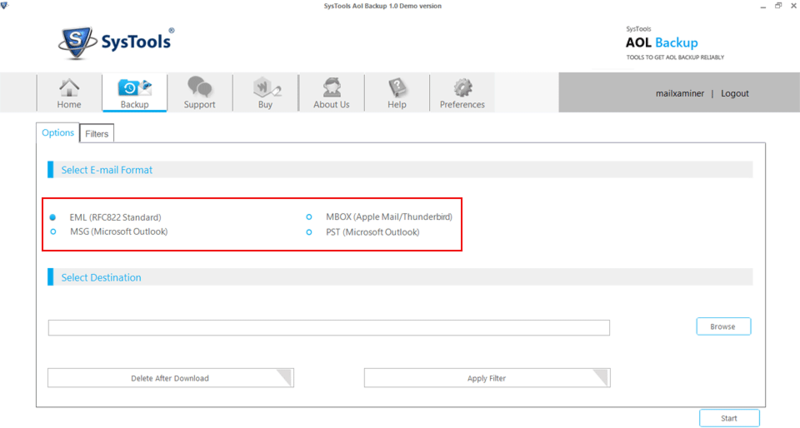 Step 3: Select PST/MSG/EML/MBOX file format. Step 4: To backup selective data, apply Date & Email Filters. Step 5: Select the destination location & click on Start button to proceed. Step 7: At last, navigate to the saved location and access the desired file. Will the attachments be included as part of my AOL Mail backup? Yes, AOL to Outlook Converter also includes attachments while moving AOL emails. Can I convert AOL PFC to Thunderbird using this tool? Yes, of course, you can easily export AOL emails to Thunderbird without any interruption by using AOL Backup tool. Can I import AOL mail to Apple Mail using this tool? Yes, the AOL Email Backup Software can be used for AOL to Apple Mail migration. Moreover, users can save mailbox data in any of the four file formats i.e. PST/EML/MSG and MBOX. Use any file format to open emails. 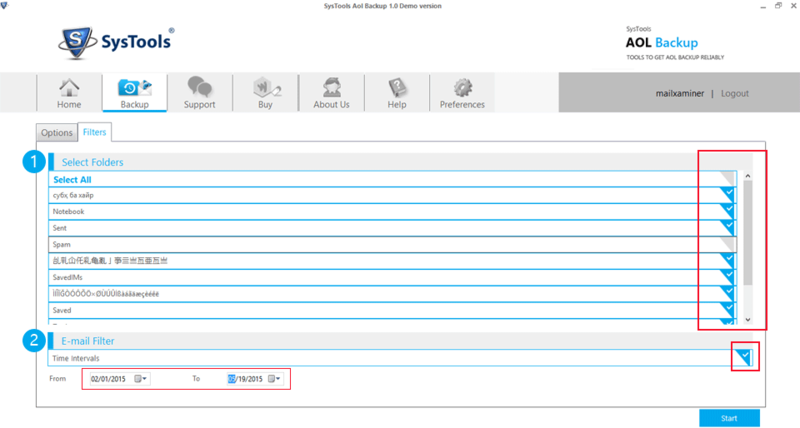 Is this tool AOL to Outlook Migrator compatible with Mac operating system? No, this AOL Backup Tool is only functional with Windows system. It is not compatible with Mac OS computers. Is there a limit to the number of emails that can be backed up using this AOL to Thunderbird Converter? No, there is no such limitations on the number of emails that can be archived using this AOL Backup tool. "I have my AOL account for years now. I was not sure how to export AOL emails to PST. I am not a very technical person and have been looking for software solutions for months. I searched about this AOL to Outlook Converter and found it quite user-friendly. 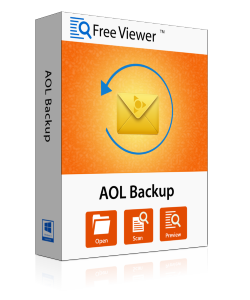 No doubt, AOL Backup Software is very easy-to-use and works well on my Windows desktop PC." "I have heard a lot about the AOL to PFC Thunderbird Converter tool. I never thought of using it at first. I downloaded and tried the free version first. I was able to move some of my emails to my computer. I was quite happy with this product. I took my important emails out imported to Thunderbird. Thank you and Kudos to the development team!" "With the help of AOL Backup tool, the task of downloading all the emails from AOL Desktop email client becomes easy. Now, I can backup numerous emails on my system in a very less time. This tool is really effective and efficient. I want to recommend this application to everyone who is looking for such solution." "AOL Email Backup tool is a software that is above my expectation level. 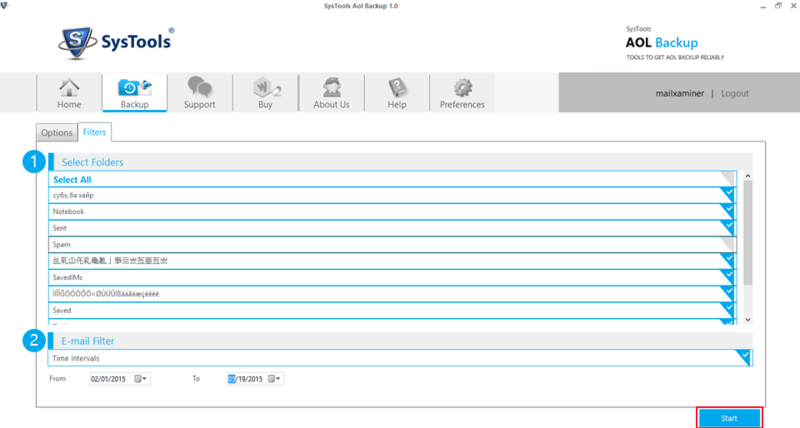 The interface of the application is very easy and any non-technical person can also understand it. There is no login issue as it smoothly login to my email account. I took backup of AOL in Apple Mail email application. Thanks, FreeViewer for such tool! "